POLAND At the beginning of 2018 Pure Health & Fitness, the owner of the Jatomi Fitness chain, announced the closure of its operations in Poland. It had clubs in 37 shopping centres across the country at the time. 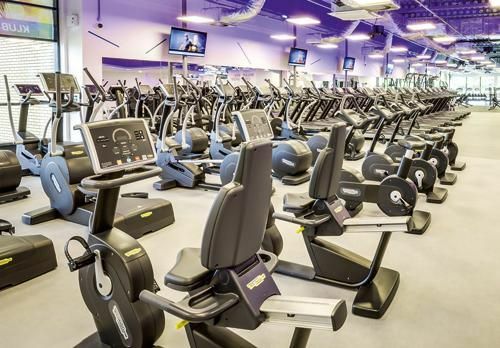 As Trevor Brennan, the CEO of Jatomi Fitness said, the chain was discussing the transferral of its lease agreements to other fitness operators with shopping centre owners. And these negotiation have been largely successful with others taking over Jatomi’s previous locations and with this frequently resulting in the expansion of these clubs’ own brands. Zdrofit will strengthen the leisure and entertainment services of three centres including Atrium Promenada in Warsaw, the Atrium centre in Koszalin and Atrium Mosty in Płock. All the Zdrofit clubs in Atrium centres are to open in May. “In order to meet our clients’ expectations, we have ensured that they will be able to use fitness clubs in our centres. We are well aware that these days access to sports and recreation facilities is important and we make every assurance that Zdrofit fitness clubs will soon be opening their doors to our shared customers,” says Marta Hamarowicz, the director of the leasing department at Atrium Poland Real Estate Management. Zdrofit is also opening another two clubs in former Jatomi locations with a combined area of 3,700 sqm in centres from EPP’s portfolio. The chain will lease 1,700 sqm in Wzorcownia Włocławek and 1,900 sqm in Galeria Echo in Kielce. At the beginning of the year Zdrofit took over Jatomi’s clubs in the Renova shopping centre in Warsaw's Targówek district, in the Mazovia mall in Płock and the Korona centre in Kielce. The company is planning to open several more clubs and to rapidly expand beyond the capital city. It has announced that opening clubs in Kielce and Włocławek is just the first step and indeed the company has also leased premises on the first floor of the Bobrowiecka 8 office building in Warsaw’s Dolny Mokotów district. The club is to open in Q3. Zdrofit is not the only chain to expand by taking over Jatomi’s former locations. Other chains to benefit include all-Poland CityFit and Calypso as well as a number of smaller players that are only just starting to grow their businesses. Polish-chain CityFit has signed a contract with Poznań's Pestka mall and will open its first club in the city in H2 of this year. “The opening of the Poznań club was a strategic goal of ours for this year. The club will have an area of almost 2,200 sqm and will be open 24 hours a day, seven days a week,” says Piotr Szymonski, the director of expansion at CityFit. The chain currently has 15 clubs and has been signing contracts to open in more locations. In May the Calypso Fitness chain will open two clubs in mixed-use office and retail centres belonging to Globalworth Poland, which was formerly known as Griffin Premium RE before being taken over by a Romanian investor. 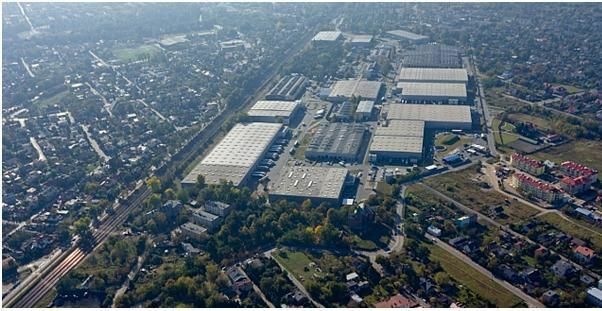 Calypso will take over 1,850 sqm on the second floor of the Supersam centre in Katowice and almost 1,700 sqm on the minus one level in the Renoma centre in Wrocław . “Our new tenant replaces an earlier fitness operator, and perfectly suits the diverse range of services in our centres. Those wishing to keep fit will find experienced staff and good equipment in the best places city locations. After they finish exercising, they will be able to go shopping, eat or have a coffee in one of the dozens of cafés and restaurants in Renoma and Supersam,” claims Edyta Bobek, the director of the retail space leasing department at Globalworth Poland. Calypso Fitness now has a chain of 47 clubs in 20 Polish towns and cities and employs 900 qualified trainers. Additionally, My Fitness Place, which is a new operator, will replace the Jatomi fitness club in the Forum shopping centre in Gliwice. The club will open in May over an area of 1,300 sqm. There will be eight separate exercise zones in the club as well as a 200 sqm fitness room. My Fitness Place also has clubs in Zabrze, Sosnowiec, Opole, Bielsko-Biała and Kraków. Meanwhile the Malta centre in Poznań has signed up Saturn Fitness, which now occupies 2,500 sqm on the second floor of the building. This is to be the chain’s second largest club in Poland with its largest being in Kraków. The club in Galeria Malta will be divided into different zones including areas for free weights, fand ree standing exercise machines as well as three studios for group classes.